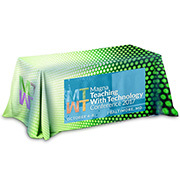 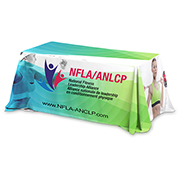 In trade shows and business conferences, the best way to showcase a logo is through printed table covers and runners in a company’s exhibit booth. 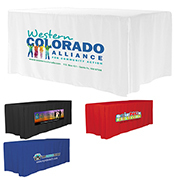 These promotional table accessories can likewise be used in every occasion where there is an opportunity to promote a brand. 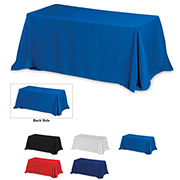 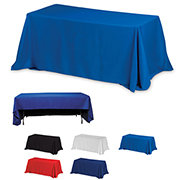 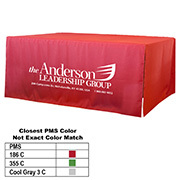 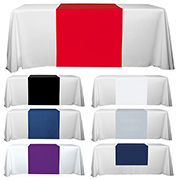 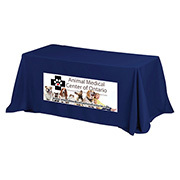 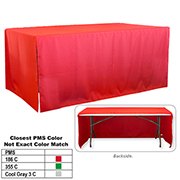 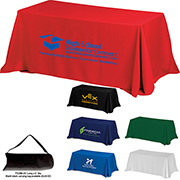 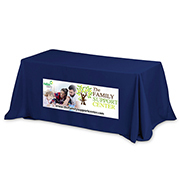 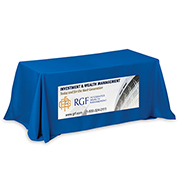 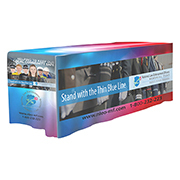 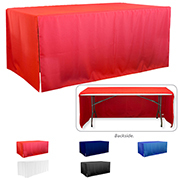 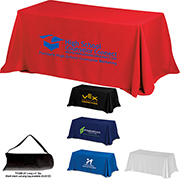 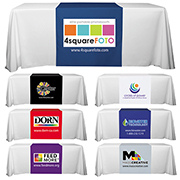 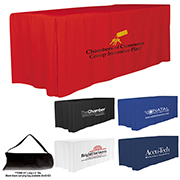 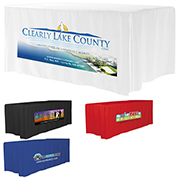 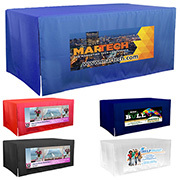 Branded table covers offer one of the largest spaces for printing a logo for maximum effect. 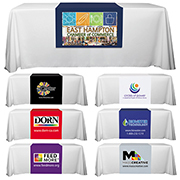 Our personalized table covers and runners are made from high quality polyester fabric which is perfect for different types of printing processes. 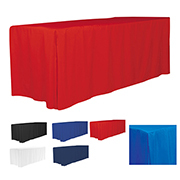 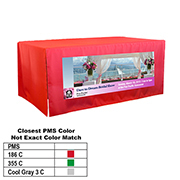 This plush extra thick tear resistant material comes with rounded corners that prevent bunching and hemmed finished edges that prevent fraying. 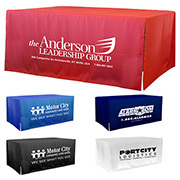 Innovation Line sees every item as an opportunity to promote a brand. 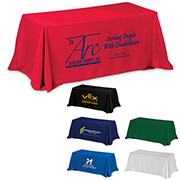 We have been doing this for three decades now and have worked with some of the top companies in the world.